As 2015 comes to a close and birders the world over start thinking about what 2016 will bring we here at 10,000 Birds would like to take a moment to celebrate our best birds of 2015. Each Beat Writer was given the opportunity to share their Best Bird of the Year for 2015 and, as usual, we had some pretty solid birds. But we don’t want this post to just be about our best birds! We want to hear about yours too! Let us know in the comments what your Best Bird of the Year for 2015 was as well and, if you have a link to a blog post, photos, or whatever else you want to share make sure to include it. 2015 was great and here’s hoping 2016 will be even better. Jochen makes us all jealous with a bird that most of us would kill to see. This year, the choice of “bird of the year” is an easy one since any consideration of an alternative would have sent the birding police after me: I finally, finally saw a pitta – like in physically catching, with my very own eyes, sunlight that was reflected off the plumage of a pitta. Now, the real challenge is this: not only did I see a pitta, I saw several! During my previous five trips to Indonesia, I only heard but never caught a glimpse of three species. Now my tally stands at four species seen and a fifth heard-only. Which one to choose for my bird of theyear? 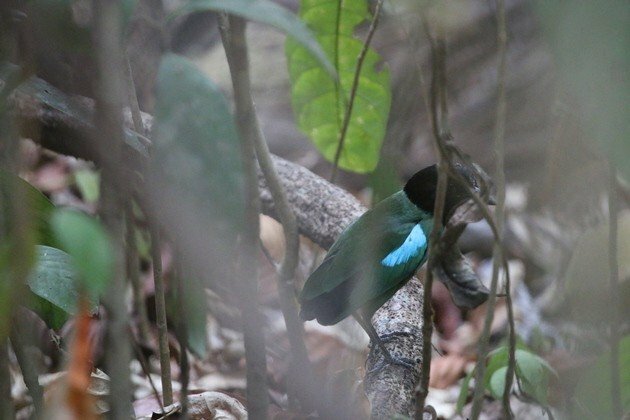 I decided to go for my very first visual pitta encounter, a Hooded Pitta I spooked next to the trail. “Spooked” is a bit of a strong word as I was very likely the first human this bird had ever seen and it stuck around for quite a while merely five metres away from me. The picture of it is uncropped (and off-centre due to it hopping about the dense undergrowth), so yeah, it was close. Can you believe he didn’t even share a photo of the bird with it centered? Jochen is such a tease. Greg’s Best Bird of the Year was a bird he didn’t see because it wasn’t there. This year, up at the lake, one of the two Common Loons that always nest across the bay behind the point, next to the marsh, was missing. This brings up an interesting question, as it happens now and then. How faithful are loons to their mates? Do the same pairs return, if possible, to the same nests after their long winter migration? At least in the northeastern United States, their rate of so doing is high, according to research I summarized here. 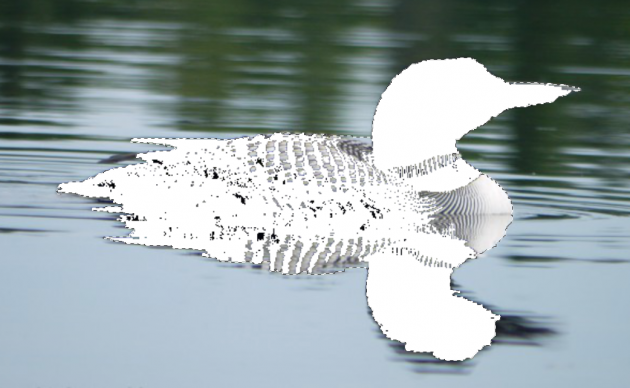 A missing Common Loon? What a horrible thing to happen in Minnesota! Greg might have chosen a bird that he didn’t see but at least it was a bird! Duncan chose a mammal! The gall of some people! My Best Bird of the Year is… Not a bird. 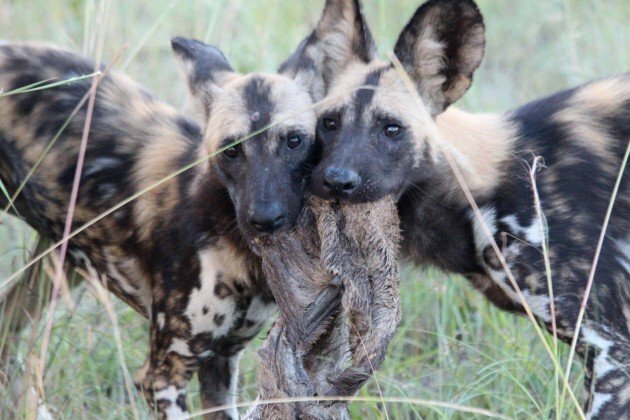 Okay, I accept this is somewhat unconventional, but I can’t get away from the fact that the Painted Wolf, or African Wild Dog, comes up every time I try and think about this. I’ve seen a lot of great birds this year, more than I have seen in any year before. But the Painted Wolf is the greatest thing I have ever seen. Period. A sparrow? A sparrow! Yes, Dragan chose a sparrow. But it seems like he has good reasons. We were hastily getting out of the van and, at the same time, it took N. – who probably got out first – less than five seconds to find a handsome male Blue Rock-Thrush! Then I spotted an easy and obvious one, the Black-eared Wheatear, while the group climbing the steep hillside found the Rock Nuthatch, as well as the Rock Sparrow, striped, pale and indescribable. And a lifer for me – if I manage to see it! P. came back and from some fifty metres and totally different angle, not to mention looking only at a small section of the rock face visible between the cypresses, managed to frame the indescribable bird in his scope field of view. I was amazed, both by the bird itself and his ability to find it. My goal for 2015 was to finally hit 200 species in my new home county, where I’ve lived for two years now. It was a milestone I’d never been able to reach in my previous hometown, because of a frustrating lack of prime shorebird and waterfowl spots. But my new home had a lot more to offer in that regard, and I was eager to reach this completely arbitrary and extremely personally important milestone. I’d been chasing a lot of other people’s birds lately, and I was resigned to the fact that my 200th would be twitched instead of self-found, but at 199 I decided to at least go and tick the White-crowned Sparrows in the north side of the county so that at least I would have sought out my own bird, even if they were well-known to be there. I stopped at the spot, pished a little, and out popped a pair of Sedge Wrens, only the second record for Guilford County and the first in 30 years. It was as good as it gets. 200 in the county with a self-found legit local rarity. The White-crowned Sparrows became 201. 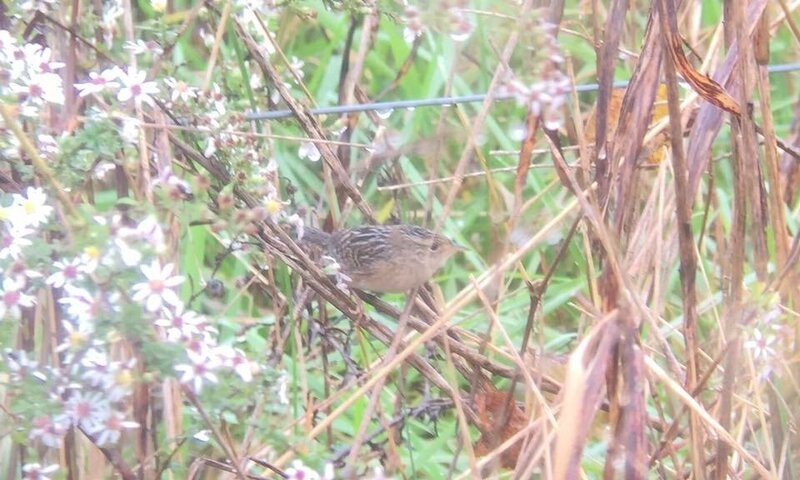 Sedge Wren! Now that’s an impressive bird! Donna’s mom helped Donna see her Best Bird of the Year but didn’t see it herself? What? It isn’t often that my mom gets me a Life Bird, so that makes Yellow-billed Magpie my Best Bird of 2015. We were vacationing in Santa Barbara, California, and one day took a ride through wine country, inland and north. We only stopped at one winery; the heat was in the triple digits and in Solvang took a lot of time. Buttonwood Farms was nearby and didn’t require an appointment. My mom enjoys talking to people and was soon in conversation with the lady pouring our tastings. “My daughter likes birds,” she eventually said, “Do you have any birds here?” I was looking at a deserted feeder on the vineyard patio and thinking about drought, so was very surprised when the woman replied, “Oh yes, there’s a special bird here, and only here….I forget what its called.” My mind immediately sparked. “Yellow-billed Magpie?” I asked. Found only in specific areas in central and northern California, the magpie was not at all on my radar. This must be the southern edge of its range. 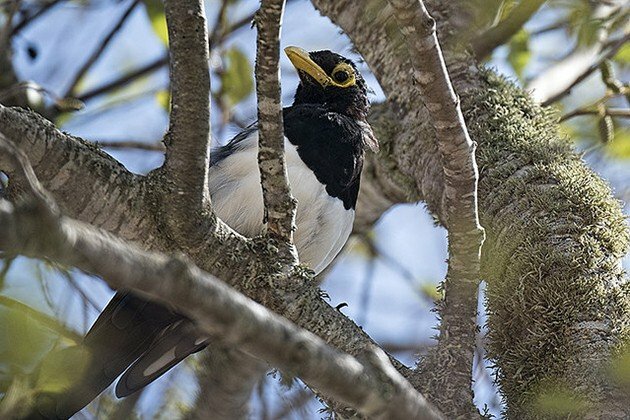 Permission gained to walk around the property, I found the Yellow-billed Magpie quickly in a tree in a nearby brown field. Then walked back to the car in the triple-digit heat to get my camera and walked back. My mom declined the opportunity to see it, but was happy I found a bird. Ain’t nothin’ wrong with a range-restricted magpie! Carrie chose a wood-warbler, a wood-warbler that was a lifer. Sounds good to me! 2015 was challenging, at best, on a personal level but it was a fantastic year for birds in New York City. From a Couch’s Kingbird on January 1 to the Clay-colored and Lark Sparrows on the Queens Christmas Bird Count, I saw so many beautiful birds that as usual, it’s hard to pick just one. Painted Buntings and nesting owls, Black-headed Gulls and mystery empids. Good work, New York, good work. But for me personally the best bird of the year is one that shows up every year, not a head-turner that lights up the listservs but a simple, albeit attractive, wood-warbler that’s bedeviled me for years only to turn up at last in my time of need. 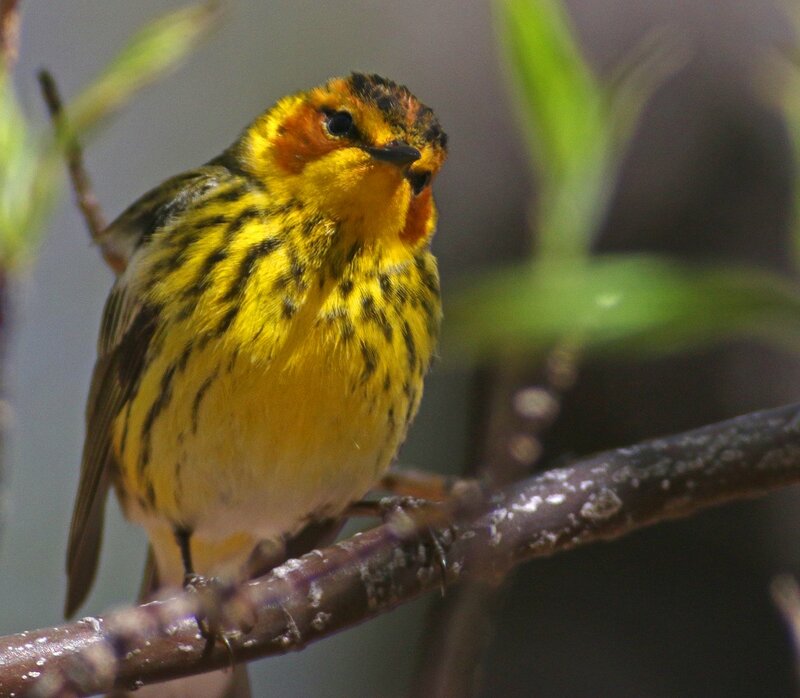 This spring, while my partner was in the hospital (he’s fine now) and my birding time was necessarily limited, I nevertheless finally managed to knock Cape May Warbler off my list of nemesis birds with a convenient, if not confiding, individual in Central Park. For being a light in the darkness, that bird snags my nomination for Bird of the Year. Adam had a pitta as his Best Bird of the Year too?!?! This is so unfair. 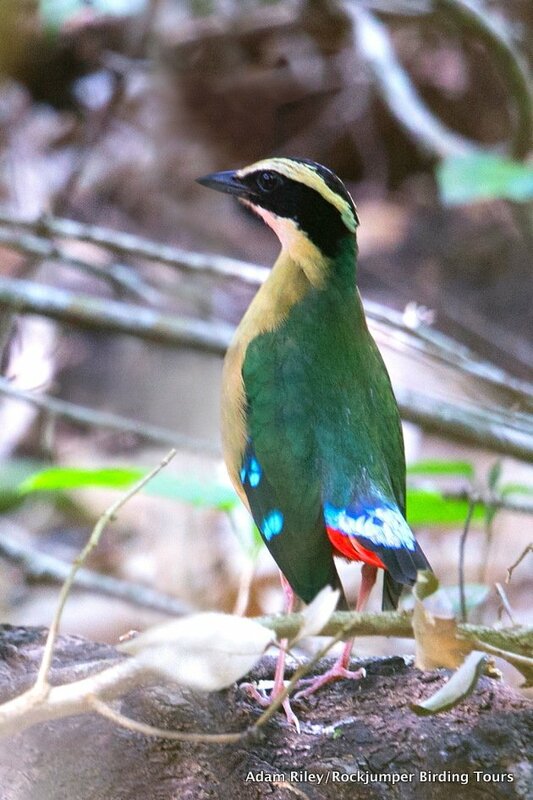 The African or Angola Pitta is the holy grail of the Southern African birder and definitely the “most-wanted” bird in our region. I personally hadn’t seen one for over twenty years and that was well before I was hauling around a camera! I had an opportunity to guide some local birders who were on a serious pitta-quest in early December so I didn’t hesitate to take the opportunity to try take a photo of this stunning bird. After charter flying into a remote camp in the wilderness of Mozambique’s Zambezi Delta, we started our search. It was really dry and after 2 days we had turned up no sign of the bird except for a deserted nest from last season….I was beginning to stress….. Finally we heard a single call and after some dedicated tracking in the undergrowth everyone except one of the group managed to see this very secretive bird. I returned the next morning with my friend who had dipped and this time we obtained superb views of a pair and I managed to take a few photos. A great way to end my last birding adventure of the year! Best wishes for a superb Festive Season and a great year ahead! Come on! This is ridiculous at this point! Meredith didn’t get a picture and seems to think her hummingbird is beneath notice but come on! Hummingbirds are awesome! My Best Bird of the Year isn’t that spectacular … just my lifer Violet-chinned Hummingbird at my husband’s family’s house in CO. I could have spent hours on the back deck watching them feed from the flowers in their garden. Actually seeing two males spar over a female—and then one of them mate—was mind-blowing. And they’re simply breathtaking. Patrick got a very good bird for Costa Rica as his Best Bird of the Year…though the circumstances made it bittersweet. I got my best bird of the year a bit late in 2015. If it hadn’t shown up, I would have probably reserved that personal “award” for a rare resident species that gave me killer looks (Lanceolated Monklet), or perhaps my lifer Brown Noddy. However, all that changed when I saw a species that was both a long-awaited lifer and a very rare vagrant for Costa Rica. 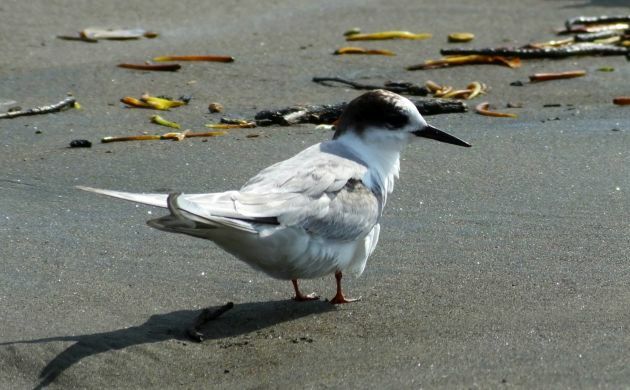 That special bird was an Arctic Tern seen on a beach in Caldera, Costa Rica towards the end of the year. Several have actually shown up this past fall (probably because of El Nino effects well offshore) after only being documented once in Costa Rican territory during a Pacific Ocean pelagic trip in 2004. Arctic Tern is a good bird in lots of places, Costa Rica among them! Clare went a chose a first for Australia. Ho-hum. My Best Bird of the Year for 2015 has to be the Temminck’s Stint, because although it was not the most colourful bird that I saw this year it will go into the record books as a “first for Australia”! 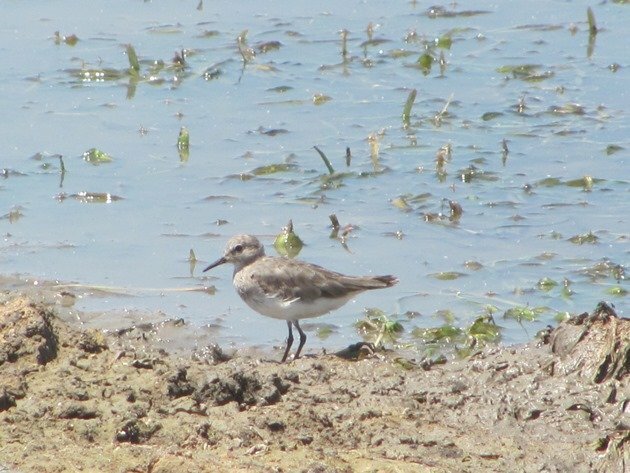 It was completely unexpected and for a couple of hours we did not know for certain what it was other than one of the “Stint” species. I am already looking forward to 2016 and wondering what exciting birds will cross our path! A country-first? That’ll do nicely! 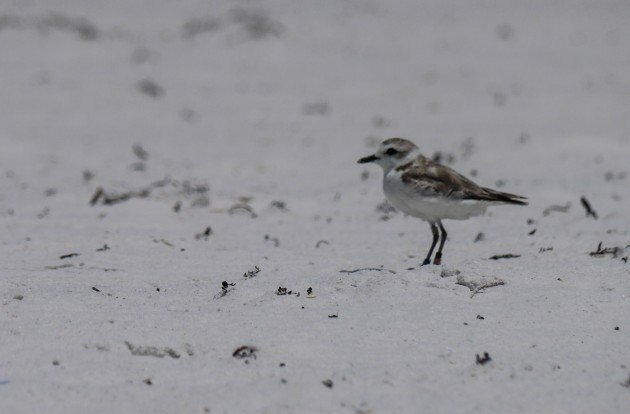 My Best Bird of the Year was a Snowy Plover, which I first spotted along the Florida Panhandle. I saw the plovers multiple times after that, and I called in the band colors when I photographed them. I love participating in citizen science! Alright, a Snowy Plover is pretty cool, especially when it is wearing jewelry. Larry was a bit taciturn but he chose a stunner of a gull, one of my favorites! 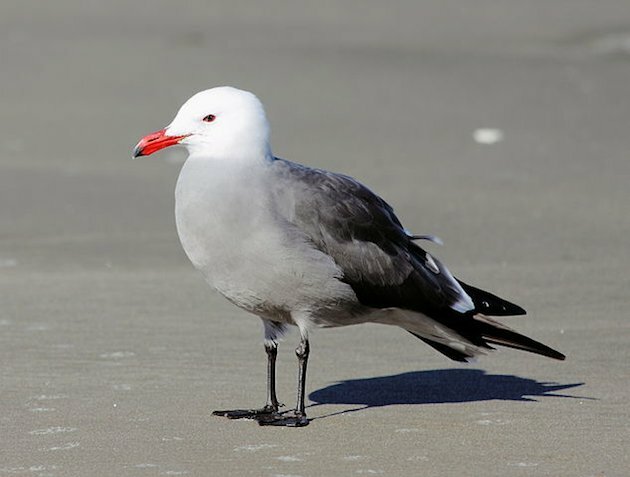 I’m going to choose Heermann’s Gull as my Best Bird of the Year. Read more about it here. Mike is at the point where he is barely a birder anymore. Seriously, we might need to do an intervention soon. 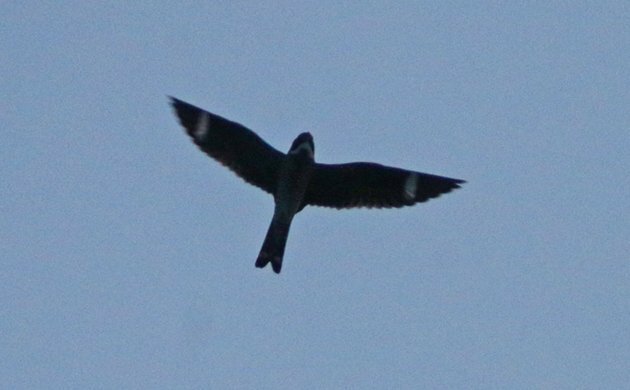 In a fairly birdless year that involved no travel outside of northeastern North America, Mike’s Best Bird of the Year had to be the Common Nighthawk observed randomly soaring over the Bronx. Those goatsuckers are far too rare over cities these days. 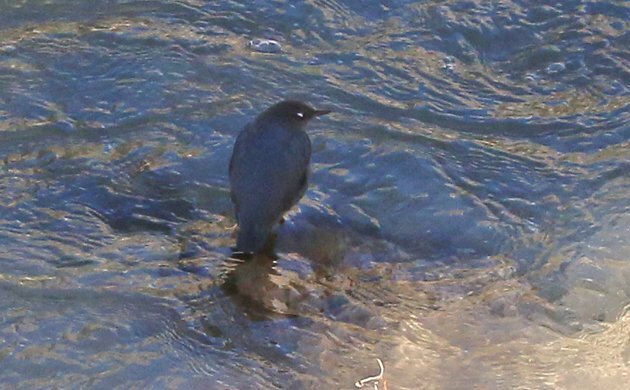 Yes, I have seen Brown Dipper in Kazakhstan and White-capped Dippers in Ecuador but somehow I am missing the only dipper found in the United States, the American Dipper. I have looked for them in southern California in winter several times, I have looked for them in Washington in summer, and I have looked for them in Costa Rica this month. But I haven’t found them. It might make sense linguistically to regularly dip on dippers but that is small consolation to this birder who is American Dipper-less. You can imagine my joy at not dipping on dipper this time! Nemesis bird averted! Sweet! Yes, this picture is horrible because all I had with me was a short lens but check out that white eyelid! Whoo-hoo! Don’t forget to share your Best Bird of the Year in the comments. Hope your 2016 is as good as our (except for Mike’s) 2015 was! A Lark Sparrow that I found on my patch in October was my best bird of the year. It was a lifer and county bird, and one of the few birds I’ve found locally that a lot of other birders have subsequently refound. The Painted Bunting in Brooklyn was a close second. I had heard Olive-sided Flycatchers singing in the bushes here on the Olympic Peninsula, and knew about Black-headed Grosbeaks because everyone had seen them, but somehow I had never seen either bird before. This spring, both birds showed up on trees right outside my house! They tie for my best bird of 2015. A Partridge Pigeon after too many years!